Coretta Scott was born on April 27, 1927, in Marion, Alabama. In the early decades of her life, Coretta was as well known for her singing and violin playing as her civil rights activism. She attended Lincoln High School, graduating as the school's valedictorian in 1945, and then enrolled at Antioch College in Yellow Springs, Ohio, receiving her Bachelor of Arts in music and education in 1951. Coretta was awarded a fellowship to the New England Conservatory of Music in Boston, Massachusetts, where she met soon-to-be famed civil rights leader Martin Luther King Jr., then a doctoral candidate at Boston University’s School of Theology. They married on June 18, 1953, at her family home in Marion. 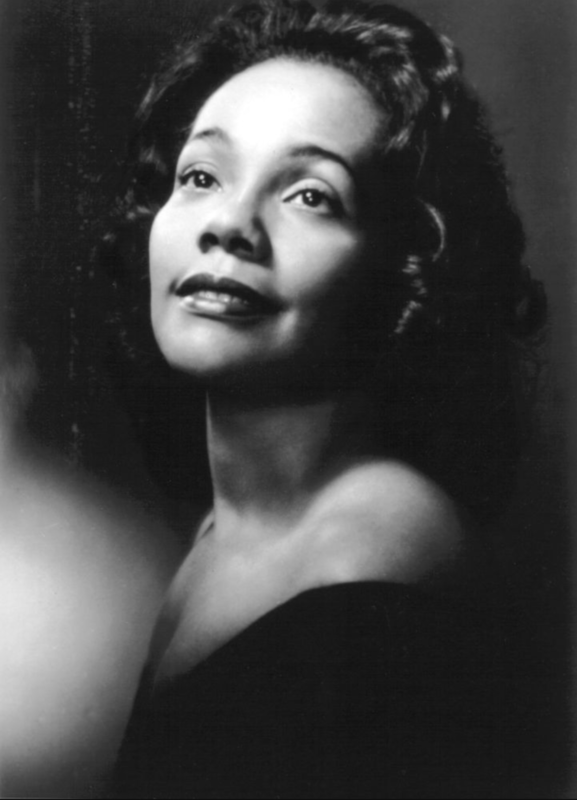 After earning her degree in voice and violin from NEC in 1954, Coretta moved with her husband to Montgomery, Alabama, where he served as pastor of Dexter Avenue Baptist Church and she, subsequently, oversaw the various tasks of a pastor's wife. Working side by side with her husband throughout the 1950s and '60s, Coretta took part in the Montgomery Bus Boycott of 1955, journeyed to Ghana to mark that nation's independence in 1957, traveled to India on a pilgrimage in 1959 and worked to pass the 1964 Civil Rights Act, among other endeavors. Though best known for working alongside her husband, Coretta established a distinguished career in activism in her own right. Among many roles, she worked as a public mediator and as a liaison to peace and justice organizations. On April 4, 1968, while standing on a balcony outside of the Lorraine Motel in Memphis, Tennessee, Martin Luther King Jr. was struck and killed by a sniper's bullet. Four days later, Coretta led her husband's planned march through Memphis to support striking sanitation workers. The shooter, a malcontent drifter and former convict named James Earl Ray, was hunted for two months before being apprehended. King's assassination sparked riots and demonstrations in more than 100 cities across the country. In the aftermath of her husband's assassination, Coretta founded the Martin Luther King Jr. Center for Nonviolent Social Change, serving as the center's president and chief executive officer from its inception. After spurring the formation of what became the Martin Luther King Jr. National Historic Site, around his birthplace in Atlanta, she dedicated the new King Center complex on its grounds in 1981. Coretta remained active through her demonstrations against apartheid in South Africa, and by expressing her views as a syndicated columnist and contributor to CNN. She also saw the 15-year fight for formal recognition of her husband's birthday come to fruition in 1983, when President Ronald Reagan signed a bill that established Martin Luther King Day as a federal holiday. Coretta passed the reins of the King Center over to her son Dexter in 1995, but remained in the public eye. In 1997, she called for a retrial for her husband's alleged assassin, James Earl Ray, though Ray died in prison the following year. The author of My Life with Martin Luther King, Jr. (1969), Coretta had four children with MLK: Yolanda Denise (1955-2007), Martin Luther III (b. 1957), Dexter Scott (b. 1961) and Bernice Albertine (b. 1963). The surviving children manage the King Center and their father's estate. Coretta Scott King suffered a heart attack and stroke in August 2005. She died less than six months later, on January 30, 2006, while seeking treatment for ovarian cancer at a clinic in Playas de Rosarito, Mexico. She was 78 years old. Coretta's funeral was held on February 7, 2006 at the New Birth Missionary Baptist Church in Georgia, eulogized by daughter Bernice King. The televised service at the megachurch lasted eight hours and had over 14,000 people in attendance, including U.S. Presidents George W. Bush, George H.W. Bush, Jimmy Carter, and Bill Clinton, along with most of their wives. Barack Obama, then a senator, was also present.